Which Is The Best Kettle To Buy? Kettles may appear basic and simple in terms of appearance and design but it doesn’t mean that you take these lightly when shopping. Since these are regulars in almost all kitchens and countertops, most designers and manufacturers have come up with different kettle types and designs to suit many preferences and requirements. If you are not used to the wide array of choices for tea kettles, then surely you will have a hard time deciding which one gets your vote. Given a long list of brands and kettle types, how can you tell which is the best kettle to buy? Do you shop based on the first few searches that come up on the search engine results pages? Or do you compare and contrast the best features of every type, and decide based on the materials used and the features adopted on these kettles? The usual approach for many consumers is to rely on the first few results that will crop up in the list of the search engines. For others, the main selections come in the form of the well-known brands. Though this approach can help you find some of the leading teapots, keep in mind that this can prevent you from discovering the right product for your needs. A good strategy is to consider first the materials used in making the teapots. Glass and cast iron are two materials used in making classic teapots. Glass teapots will take out the guesswork from tea preparation, and cast iron teapots are known for durability. When you want an alternative to these popular options, you can consider the ceramic tea pots. Teapots made from ceramic material are known for their intricate designs and links to traditional tea brewing. Before the introduction of glass teapots, the ceramic types were the rage and these will normally come with floral and pink designs. The ceramic products can be customized too and can serve as popular gift items for weddings and anniversaries. These are cute additions to your kitchen. The only problem is that these can be broken once you drop it. If you want the teapots that ‘can last forever’, then the copper tea kettles should be on the shopping list. These are shiny and durable addition to any kitchen our counter top. 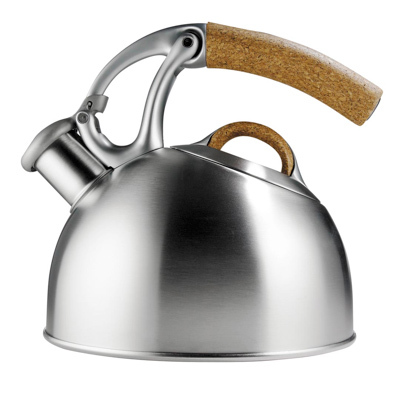 This is the type of kettle that will require minimal maintenance. There are no moving and sensitive parts, thus you can have fun using these types of kettles. Even if you accidentally drop these, then you can be sure that your planned tea parties will still continue. When durability matters to you more than style, then the copper kettles are the best items to get. Find A Great Deal On Your Tea Kettle Right Now!